In the last post, I mentioned I would elaborate on the monastery and its inhabitants. 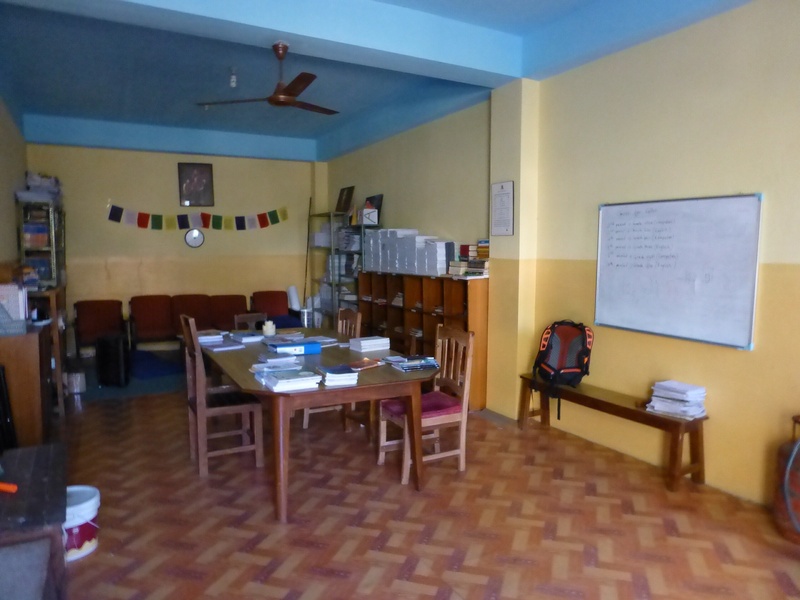 The mission of the Namo Buddha monastery is to educate young monks grades 1 through 9 (another sister monastery handles the higher grades). Previously, the young monks only learned a traditional Tibetan Buddhism curriculum that included subjects like Tibetan writing, ritual, language, chanting, etc. 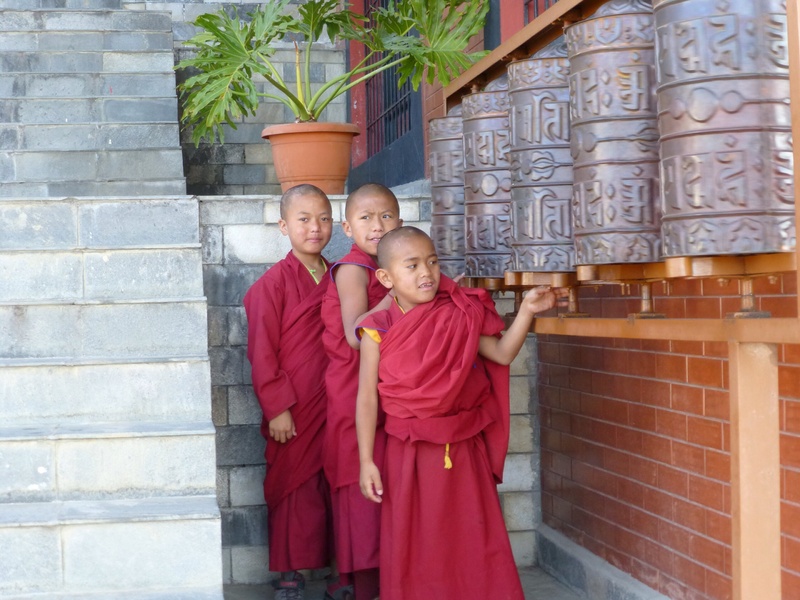 However, not all young monks desire to pursue the monastic life long term, so the monastery now teaches them subjects such as mathematics, science, and English to ensure they are properly prepared for life in the outside world. The monks follow a strict schedule that begins at 5:30 am with morning prayers and continues until 10:30 pm, with several breaks in between. During these times, their day is full of learning, ritual, chanting, daily puja (worship), as well as time scheduled for cleaning and homework. Not having worked directly with monks before, I imagined that they would be serious, focused, and disciplined individuals. While it’s certainly true that they embody these traits, I’ve been delighted to discover the boys underneath those red and gold robes. During breaks, the air is filled with the sounds of yelling, laughter, and the occasional jovial slap on someone’s bald head. At lunch they play cricket and other games on the roof of the school (which also functions as a playground), and during mealtimes the younger ones fidget uncontrollably during the chants that begin and end each meal. Above all else, they are boys—albeit happier, more polite, and more disciplined than any boy I’ve ever met. Sure, there are a few cheeky buggers in the bunch (after all, no one is perfect…not even young monks), but the vast majority are truly extraordinary young men and I feel lucky to have this time with them. Colleen, I recognize those three kids! We stayed at Nama Budda a few months ago. They were really acting like kids! We trekked from Kathmandu to Nama Buddah and back to Baktapur. I loved the granite steps (not)! Really? What a small world! I’m glad you had a chance to see it. I’ve really loved it here.